Hillman Curtis had been one of my personal heroes since the early 2000s. I had discovered one of his short films featuring the music of what would become one of my favorite bands, Mogwai. 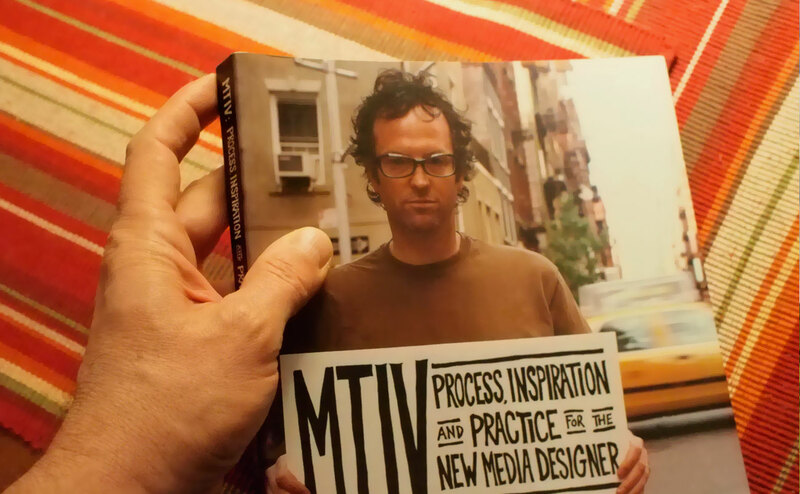 I promptly went out and bought his 2002 book MTIV: Process, Inspiration and Practice for the New Media Designer , and it became one of the handful of books that shaped my own creative aspirations over the years. One of the things that made Hillman such a compelling influence for me is that his career trajectory foreshadowed and in some ways mirrored my own. He had been a student, a creative writer, a musician in a rock band, a graphic designer, a web designer, and ultimately a filmmaker. I would add that it wasn’t reinvention merely for the sake of change. That would have been easy enough to justify: we live in a society mesmerized by “all that is shiny and new.” What struck me about Hillman’s serial self-reinvention was that there was a deep level of continuity to it. Every evolution built upon the successes of the previous incarnation. Studying creative writing led to writing songs; which in turn led to his going on the road with a band. His band needed posters to advertise its shows, so Hillman stepped up and taught himself that craft. And with computer skills under his belt, it made perfect sense to move his creativity online when the whole Web thing happened. Motion graphics on the Web became a big deal (and a lucrative business opportunity), and Hillman evolved to become a master of Adobe’s (née Macromedia) Flash technology. When Flash became the go-to platform for delivering video over the Web, the path became clear once again, and Hillman had an opportunity to circle back to his writing and filmmaking roots. On this, the anniversary of his passing, I’m taking a few moments to appreciate his gifts and his influence upon my creative life. Hillman in his own words, a great short film on Vimeo. Bridge, which is perhaps my favorite of his short films. Hillman Curtis: On Reinvention and Taking the Courageous Path, an interview by Bēhance. Hillman Curtis, a Pioneer in Web Design, Dies at 51; last year’s piece by the New York Times.